You don’t have to use drugs, to get sick from them. Families suffer just as much as the addicted person does. Some say more. While the addicted person is high, the families eyes are wide-open. It can be an ugly view. Living under extreme stress changes you… and not for the good. Families may not realise they have become sick too and fall into the trap of becoming obsessed and consumed with rescuing, saving or fixing their ‘sick’ person. 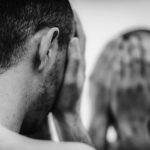 Below are 6 ways to fail at helping your addicted loved one. 2) Suppressing Emotions and ignoring your intuition: Most families suspect there is a problem long before they confront it. Repressing your fears and worries only make them bigger. When your emotions do erupt, and they will, they do so with a bang. Family members often react to their emotions, causing their behaviour to become as unhealthy as the person they’re concerned about. Debrief your feelings with someone before talking to the addict. If you act in a way you’re not proud of, you will feel guilty. Guilt enables addiction. 3) Saving and rescuing the addict: Learn to hit the pause button. There’s a reason why you’re the one being called. Ask yourself this; Am I easily manipulated? Do I jump in and defend him/her to my other family members? The most loving thing you can do with an addicted person is to let them feel the consequences of their choices and actions. If you’re cleaning up the mess, it isn’t real to them. Addicts don’t get well when they see the light – they get well when they feel the heat. Let them feel it! 4) Trying to control the addict. You can’t manage an addict. You will only make yourself sick by trying. You can not LOVE an addict well. There is no quick fix. Instant gratification only enables addiction. Recovery from addiction, families and the addicts, is a process. Your family member can’t stay sick without your help. Learn what your role is. Be prepared to learn as much about you, as you hope your loved one will learn about themselves. 5) Protecting the addict by keeping his/her secrets, or making excuses for them. Addiction is POWERFUL. Families can fracture, marriages can fail, physical health can deteriorate, and bankruptcy does occur. Transparency and open communication is a must. Refuse to keep secrets. Addiction manipulates family systems, pitting member against member. Healthy family systems communicate openly, acknowledge problems, and sometimes work through them. Addicted families avoid problems instead blaming one another, keeping secrets, and using passive aggressive behavior. 6) Not reaching out for help. Many families feel ashamed about their addicted person. They may hide information from friends and family or make up excuses as to why the addict is missing or under the influence. They may be too embarrassed to reach out for help or they may try and cope with addicted person one on one, becoming worn out and exhausted. Exhaustion exacerbates unhealthy behaviours like yelling, threatening or saying mean and cruel things to the sick person you love, leaving the family member feeling guilty and remorseful. Guess what eases guilt? If you said enabling, you’d be right. Addiction is a progressive and terminal disease. It happens over time and effects EVERYONE involved. Families tend to make their primary focus the addict, eventually becoming consumed by this person. Just as the addict is consumed by their substance, the family, or primary enabler, is consumed by the addict. Without professional help or support many families will continue to spiral downwards living in what they once said, they would not. Recovery is possible. But it doesn’t happen overnight and it doesn’t happen alone. Nothing says ‘I won’t be manipulated by addiction’ louder, than when family members attend meetings, join support groups, and learn to care for their own well being. Don’t wait for someone else to make the choice to get well. Get up, get active and get going. The most caring thing you can do for anyone living with addiction, is to get support and education for YOU. When you make healthy choices, addiction has no where to go. Without an enabling system the addict is forced to experience the consequences of the choices he/she has made. When the consequences become greater than the rewards of using, most addicts will seek help. Although you don’t have the power to change the addicts behaviour, you can change your response to it. Recovering from addiction doesn’t start with them, it starts, with you. Don’t wait for them to go to their meeting. Get up and go to yours. Because the only thing worse than one person suffering from addiction, is two. Addiction or recovery? It’s your choice.